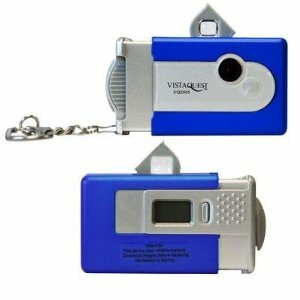 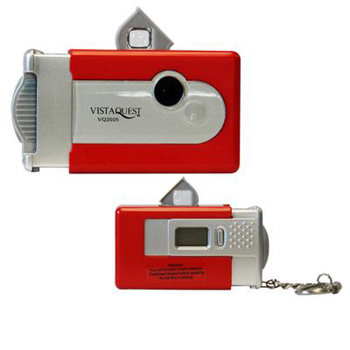 The VistaQuest VQ2005 Red 2MP Keychain Digital Camera features great compact portability for quick shots wherever you go. 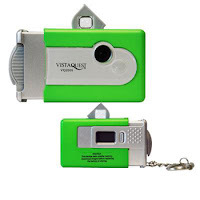 The 2MP resolution gives you clear pictures. 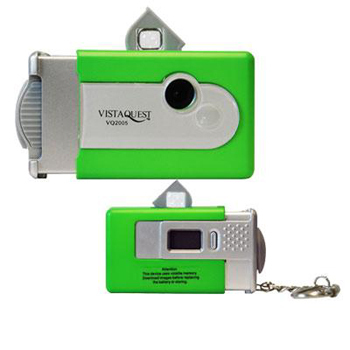 View menu and shots on the black and white status LCD display.